For decades, there has been a great, worldwide interest in Zoltan Kodaly's concept of music education (better known as the Kodaly Method) which, from time to time, had a different geographical emphasis. Hungarian public education has been operating with successes in spite of the changed social and economical circumstances. Even today, the "Hungarian Method" - to use Kodaly's words- serves as a model for many music pedagogues all of the world. This DVD-ROM provides a many-sided and faithful introduction to the Kodaly Concept; and also presents the study programme of the Kecskemet "mother institute" in an attracting and inspiring way. 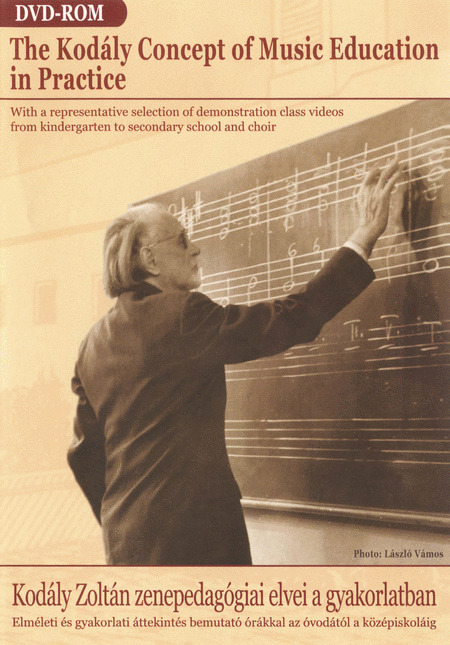 As well as textual introductions to Kodaly's life and the Kodaly Concept of music education the DVD-ROM provides an overview of the practical application of the method through video excepts pf demonstration classes in kindergarten thru secondary school.